Taipeibio was selected by MOST and LSN to present in the Taiwan Luncheon company pitch at RESI JPM (JP Morgan) 2019 in San Francisco, USA. 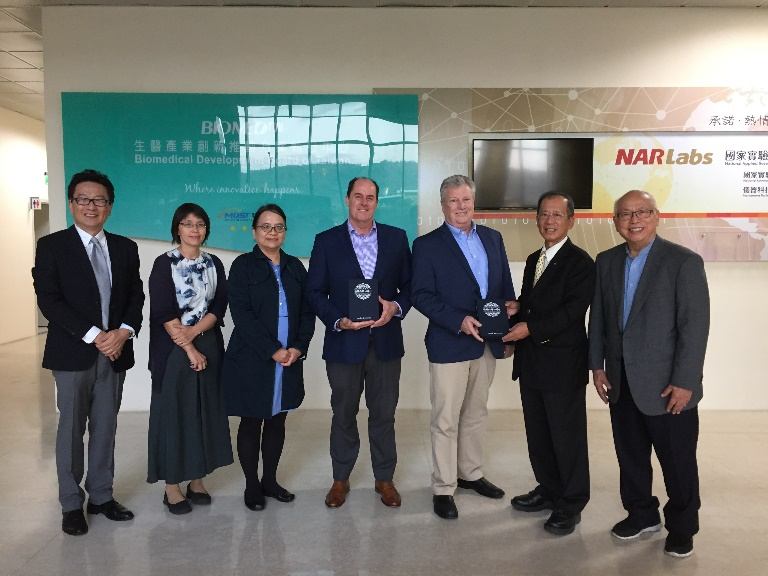 Welcome Life Science Nation CEO Dennis & VP Greg at Taipeibio Lab 2. Taipeibio is an R&D-oriented company with core technology derived from Harvard and MIT; which focuses on tissue engineering. Our technology covers specialties for bone & joint regeneration, such as TMJ and the critical-sized bone defect repair. Effects of collagen matrix and bioreactor cultivation on cartilage regeneration. PLoS One. 2018 May 10;13(5):e0196779. Optical imaging of ovarian cancer. PLoS One. 2018 Feb 1;13(2):e0192047. Repair of the TMJ Disc in Rabbit. Materials (Basel). 2017 Aug 9;10(8). RESI (Redefine Early Stage Innovation) Boston 2018. Copyright © Taipeibio Co., Ltd All Rights Reserved.